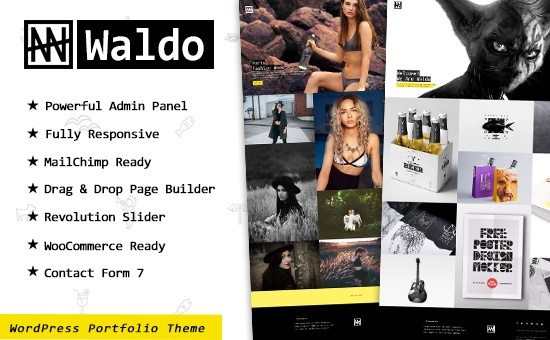 Waldo is a Creative WordPress Theme, designed specifically for portfolio and creative studio sites. This theme made for designers, photographers, illustrators, video producers , architects and other who need an easy, attractive and effective way to share their work with clients. Tons of customization are possible with this theme that’ll help you redefine your websites brand value. This theme is universal so it can be used for any site.